New Delhi, February 4: The total steel production in the country has increased from 88.98 MT in 2014-15 to 103.13 MT in 2017-18. MoS for Steel, Vishnu Deo Sai, informed this in Lok Sabha today. Increased Customs Duty on steel in two phases-in June’15 and Aug.’15, by 2.5% each. 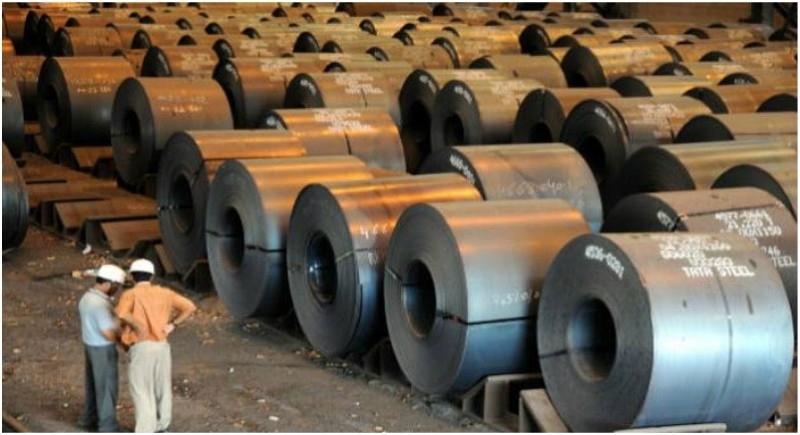 Minimum Import Price (MIP) imposed on specified steel products in Feb.’16. MIP has since expired in Feb.’17. Imposed 20% Safeguard Duty on Hot Rolled Coils, provisionally in Sept.’15 and finally notifying it in August 2016. Imposed Safeguard Duty on Hot Rolled not in Coils, provisionally in Aug. and finally in Nov.’16. Imposed Anti-dumping measures for HR Coils provisionally in Aug.’16 and finally notified in May’17. Imposed Anti-dumping measures for CR Coils provisionally in Aug.’16 and finally notified in May’17. Imposed Anti-dumping measures for Wire rods provisionally in Sep.’16 and finally notified in Oct.’17. Imposed Anti-dumping duties for Colour Coated Steel provisionally in Jan.’17 and final notification issued in Oct.’17. Sunset review of SS Cold Rolled 600-1250mm wherein duties extended up to 2020. On China, additional Countervailing Duty (CVD) @18.95% for 5 years from Sept.’17. Imposed Anti-dumping duties on SS Hot Rolled products in March’14 valid up to 2020. On China, additional [email protected]% for 5 years from Sept.’17. The government of India has also issued Quality Control Orders namely steel and Steel Products (Quality Control) Order, 2018 covering 47 carbon/alloy steel and 6 stainless steel products. The Quality Control Order prohibits manufacturing/import of sub-standard / seconds and defective products. In reply to another question, the Minister said India has not been much impacted by the tariff imposed by USA since India’s exports to the USA were just around 2.2% before the imposition of the tariff.